Only a non-human creature could get away with this type of behavior: Here’s a dog that loves hanging out on the roof so much that his humans had to post an explanatory sign to address concerned neighbors. 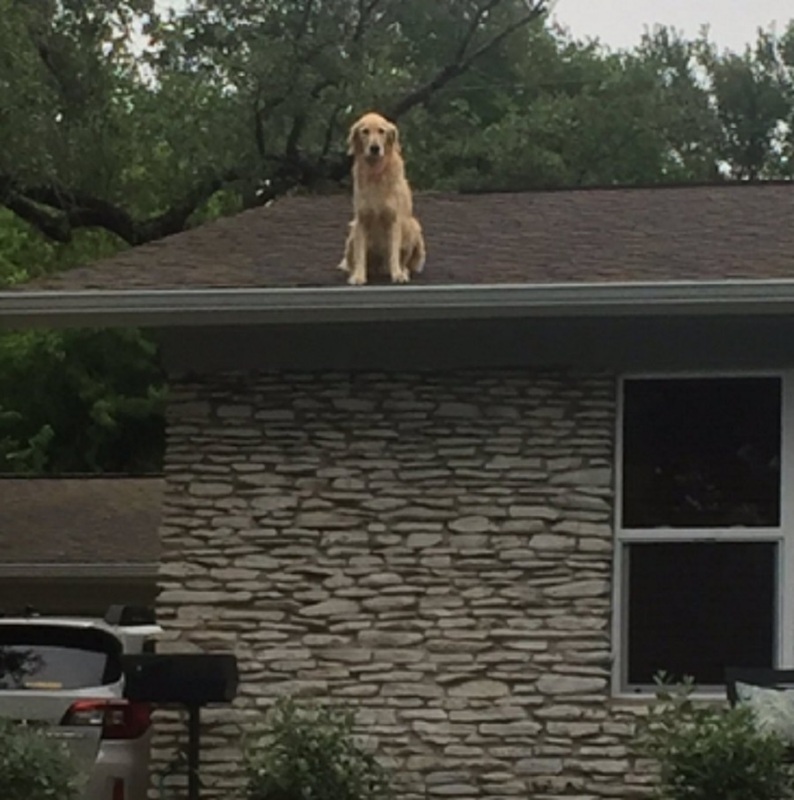 According to The Berry, the 5-year-old Golden Retriever has earned the nickname of Huckleberry the Roof Dog (aka Huck) due to his most unusual chill spot. People say, “It gets lonely at the top,” but that’s definitely not the case for Huck. He’s more than happy to get in some down time all by his lonesome, because dogs know chillin’ on the roof has some major benefits that we humans just haven’t honed in on yet. Maybe it allows him to be the nosy neighborhood watch dog with ease, or perhaps Huck *really* wanted to be the next major social media star. If the latter is true, he got his wish because the internet is completely obsessed with him. "Huckleberry is living up to his name and learned how to jump onto our roof from the backyard. We never leave him in the backyard without someone being at home. He will not jump off unless you entice him with food or a ball! We appreciate your concern but please do not knock on our door… we know he’s up there! But please feel free to take pictures of him and share with the world! #hucktheroofdog." Huck’s owners Allie Burnitt and Justin Lindenmuth explained to ABC News precisely how Huck gains access to his rooftop haven. Here’s a video of Huck jumping on the roof that will make your hearts leap with joy. It seems like people love seeing Huck on the roof as much as he enjoys being up there. All of the other would be roof-dwelling dogs out there should take note: If you want to have your very own private spot and become an internet star in the process, this is how it’s done.